The comment period for proposed federal regulations to restrict the operation of boats around killer whales has been extended to Jan. 15, pushing back the implementation date. It looks like the National Oceanic and Atmospheric Administration is throwing open the door for “cooperative efforts” that might even include some new on-the-water research this coming year. “We recognize that by extending the public comment period, we won’t have enough time to issue a final rule before the 2010 summer boating season,” states an e-mail sent out this morning by NOAA. 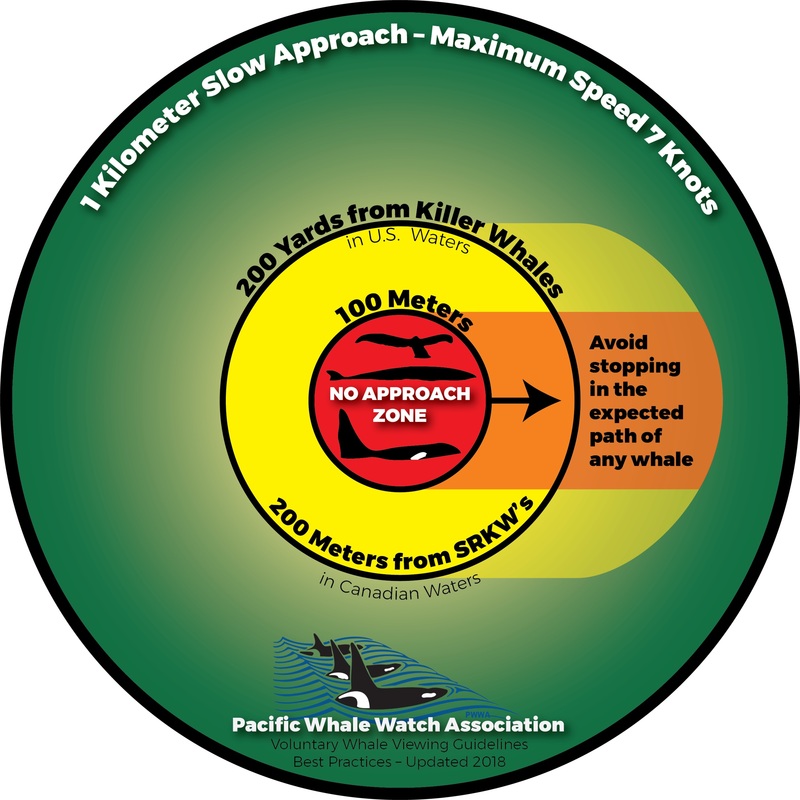 The proposed rules would create an enforceable 200-yard protective zone around the whales. That’s twice as far as existing federal guidelines call for. See my July 28 story in the Kitsap Sun. During three recent hearings, many people raised questions, concerns and objections to the proposed rule. Some even offered suggestions. Donna Darm of NOAA told me that the extra time would allow biologists to explore and discuss some of the ideas, including issues related to recreational fishing and kayaking within a “no-go zone” off the west side of San Juan Island. Research is ongoing, she said, and another year of data would not hurt. 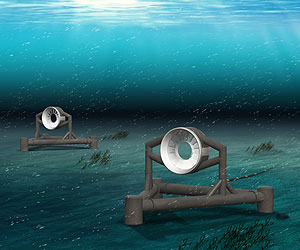 New on-the-water studies may or may not be proposed. When I raised the idea of an experiment using the entire whale-watch fleet to test various scenarios, she seemed intrigued by the notion. “We have lots of comments to think about related to this alternative or that alternative,” she said. NOAA officials were surprised by the number of people who showed up at the three public hearings: 180 or so each in Anacortes and Seattle, followed by about 260 in Friday Harbor, according to NOAA spokeswoman Janet Sears. That compares to between 40 and 60 people at planning meetings before the regulations were announced. Shane Aggergaard, president of the Pacific Whale Watch Association, said he is pleased to see the willingness of NOAA officials to discuss the issue further. At first, NOAA officials did not seem to be listening, he told me. To comply with a strict 200-yard limit, whale-watch boats would need to stay close to 300 yards away most of the time, he said, and that is something that could kill much of the whale-watching business, he said. The Pacific Whale Watch Association has proposed a combination of two ideas advanced by NOAA. The PWWA option would prohibit vessels within 100 yards under most conditions, though it would allow fishing boats to hold their position and kayakers to let orcas swim by. 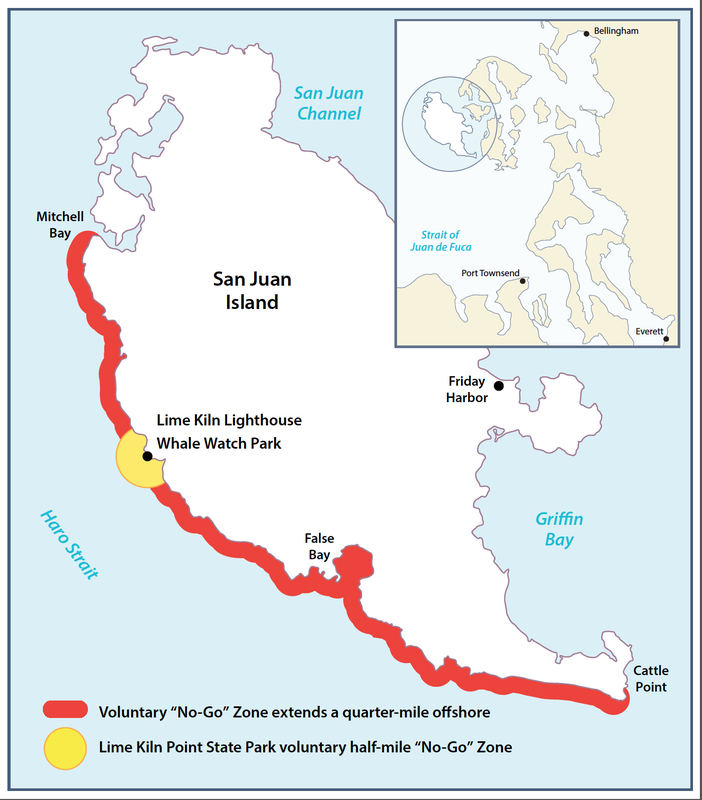 Other vessels would need to stay out of the path of the Southern Residents and observe a 7-knot speed along San Juan Island from Eagle Point to Mitchell Point out one-half mile. 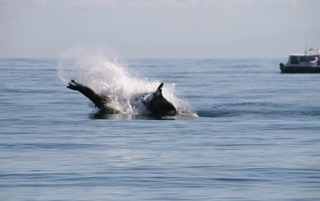 It’s really unfortunate that the orcas will not get more protection in 2010 under improved vessel regulations. But of course enforcement would still be an issue. In order to provide more protection, Lifeforce hopes that NOAA and WDFW (Washington Department of Fish and Wildlife) will get more funds to step up enforcement in 2010. What would Puget Sound’s killer whales really want? Two hearings regarding proposed boating regulations to protect Puget Sound orcas from noise and disturbance have brought out a variety of opinions. Folks involved in the whale-watching industry showed up in large numbers, as did sport and commercial fishers. “Overall, there were strong objections to the entire suite of alternatives — from the 200 yard viewing distance to the no-go zone. 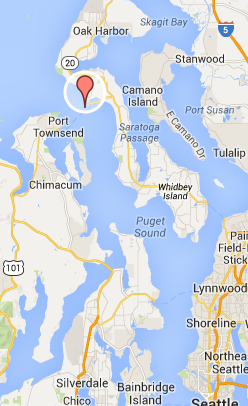 People for Puget Sound went on record saying that a no-go zone was a step too far. And Ken Balcomb (Center for Whale Research) voted for no action. I thought the piece put together by reporter Mark Wright of KCPQ-TV (viewer above right) provided a nicely summarized and balanced perspective on the issue, though it did not examine the scientific issue. The idea of regulating whale watching around killer whales, particularly in the San Juan Islands, has gotten a lot of attention the past few years. First, San Juan County approved an ordinance in 2007 that required boaters to stay back 100 yards from the whales. That was followed by a state law in 2008. Now, the federal government proposes to turn their longstanding 100-yard “guidelines” into a 200-foot enforceable rule. See my story in today’s Kitsap Sun. I first wrote about the concerns of whale watching nine years ago — before the whales were listed under the Endangered Species Act. (See my story from July 2, 2000.) I think it is safe to say — and Kari Koski of Soundwatch confirms this — boaters have generally gotten more responsible, particularly commercial whale-watch operators based in the U.S. This is a complex issue, in part because the killer whales themselves are complex creatures with a high level of intelligence. Trying to rebuild a population of killer whales is nothing like rebuilding a population of salmon. I could say a lot more about that, but instead I’ll make a few observations about the federal action.